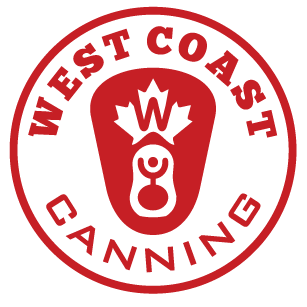 With over four years of experience, locations in BC and Alberta, and an ever-growing team of passionate canning professionals, West Coast Canning has you covered – whatever your canning needs. Much more than just a mobile canning service, we also offer shrink sleeving, printed and blank can sales and can design services. West Coast Canning is the one-stop shop for anyone looking to can their craft. West Coast Canning is proud to be Canada’s first mobile canning company that provides craft breweries, cideries and wineries in BC and Alberta with a full service packaging solution so they can focus on making great product. From the moment you decide to can your product to the second that final can rolls off the canning line, we have your back. We help you get your artwork approved or designed, your cans sleeved or printed and your product packaged, on-demand. Our services allow you to free up valuable resources, space, and time to focus on what you do best. Our mission is to have fun with our customers, to be seen as a part of their team, and to be the cleanest and most reliable Canadian mobile canning service that expands our customers’ opportunities to reach new consumers and markets. We’ll set you up with all the info you need to make the right decision for your business and introduce you to our label partners. Once your artwork is approved, our label partners will print your labels and ship them directly to our warehouse. We store your labels for free and apply them on-demand, as and when you need them. Finished cans are re-palletized and shipped directly to your facility, with the carrier of your choice. Your printed cans are palletized and shipped directly to your facility. Your blank cans are re-palletized and shipped directly to your facility, with the carrier of your choice. Jorden Foss / Steel & Oak Brewing Co.
At Strange Fellows Brewing Company we’ve been packaging our beer in cans since soon after we opened at the end of 2014. This has been done entirely using the mobile canning services and equipment of West Coast Canning and with cans obtained through them. As one of their biggest and busiest clients we have a lot of experience working with them very regularly and very closely. As any brewer knows, packaging beer is one of the most difficult aspects of brewery production and requires careful control over many variables to meet quality output. We consider West Coast Canning a kind of partner in what we do. They are professional, attentive to our needs, easy to work with, and above all effective. We will of course own our own canning line in the future and we will continue to source our cans through them but we would not be where we are now without the help of West Coast Canning. I am confident in recommending them to any new brewery that has to balance return on investment, risk, and quality. Whether you’re looking to can your craft, find out the latest news or just fancy a quick chat, hit one of the links below to get in touch.